Beetroots are a rich source of potent antioxidants and nutrients, including magnesium, sodium, potassium and vitamin C, and betaine, which is important for cardiovascular health. 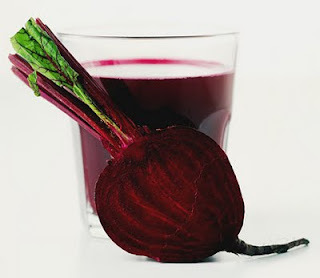 Beetroot juice has been shown to lower blood pressure and thus help prevent cardiovascular problems. So instead of drinking the juice which does not taste very nice to me, I put it in my bread. I dumped the beetroot and bread ingredients into my bread maker and let it do all the work. After three hours, out came a 'redish' looking bread that taste no different from ordinary white bread. Just apply butter and serve. Your bread looks wonderful. Beetroot bread has been on my list of bread to do, but has been putting it off! Will be back visiting, have a nice weekend!